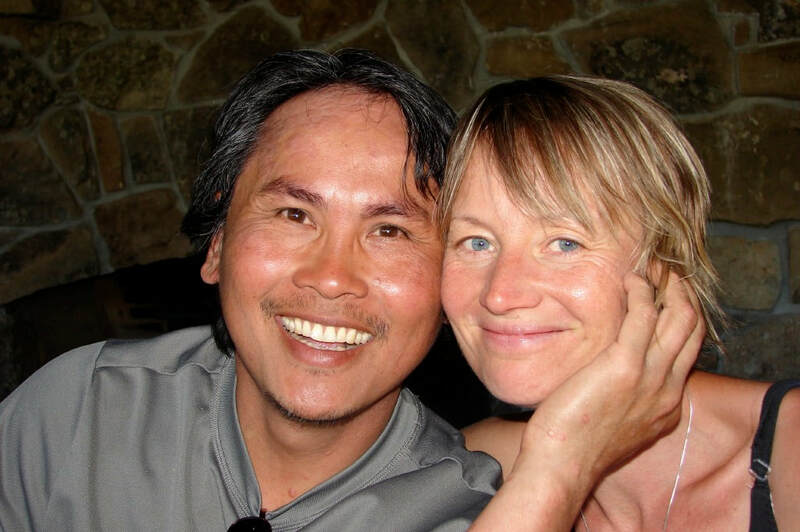 "Tea" Thanh Binh Duong came from Vietnam as a child and has worked as a potter in Europe as well as in Australia and New Zealand. 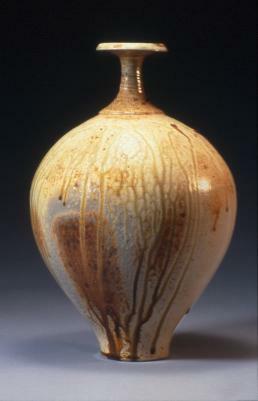 He uses a porcelain clay body and fires his pieces in a high fire gas kiln or in a woodfire kiln. He mixes his own glazes and loves to discover new forms, techniques and to push the clay as far as it will take him. 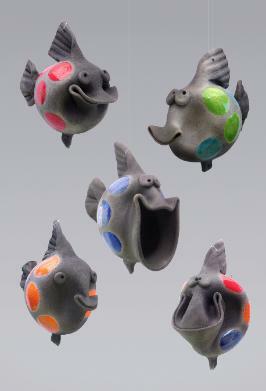 Nina Fernström-Duong came to Oregon from Sweden and she loves to create funny personalities and characters in the pottery fish. They are hand thrown on a pottery wheel and Raku fired. They live and work on their farm west of Junction city, Oregon.